Here’s a fun gift idea! 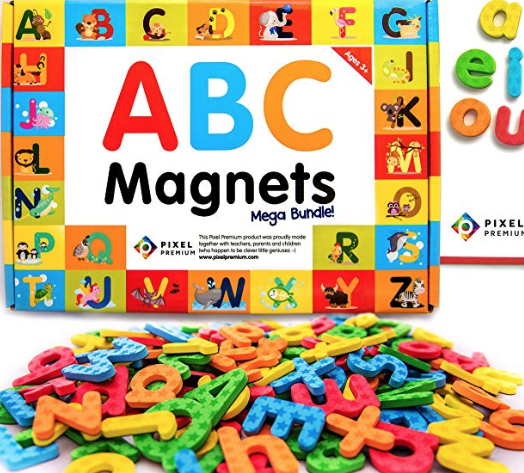 Today only, Amazon is offering up this highly rated ABC Magnets Mega Bundle Set for just $15.99! This includes 142 beautiful magnetic letters, ultra-light magnetic whiteboard and more than 40 learning games with your “Amazing ABC” educational e-Book series.